Oh man oh man oh man oh man. This is the nerdiest, awesomest, best-best way to use Instagram. 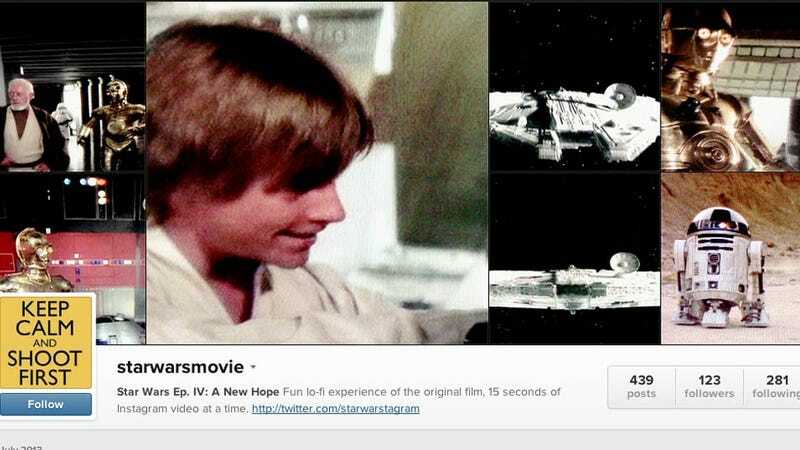 Some nerd has taken it upon himself to film the entirety of Star Wars Episode IV: A New Hope 15 seconds at a time, on Instagram Video. Not only is this dear nerd—a Gizmodo commenter, apparently!—doing the whole movie; he's also doing it backwards, in reverse chronological order, so that when you load up the page, once it's finished, you can watch it clean through without scrolling to the bottom of a very long page.